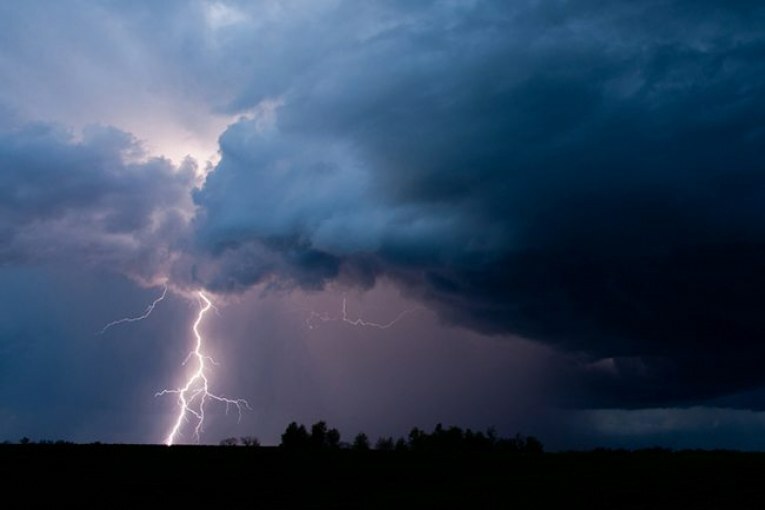 As the director of energy studies at the University of Florida’s Public Utility Research Center, Ted Kury helps utility providers and policymakers decide how to best prepare for severe storms. With the first storm of the 2016 hurricane season in the books, Kury weighed in on how well utility companies have prepared, what homeowners can do and why we don’t just put all of our power lines underground. How would you rate Florida utilities’ preparedness for a major hurricane? Given the uncertainty that’s out there, I would say they are as prepared as they can be. I don’t really know that there is anything more that we can do from a preparedness standpoint. The utilities have been reporting to the Public Service Commission, which regulates Florida utilities, every year for the last 10 years now. They just finished their review of their new storm hardening plans for this season and they always complete it before storm season starts. They’re ready. What precautions have the state or state’s utilities taken to prepare for the next major hurricane? Following the hurricane season in 2004 and 2005, the state Public Service Commission convened a workshop involving utilities, consumer advocates and stakeholders around the state in order to establish what can and what should be done to better prepare Florida for the future. As a result of the series of workshops, the Public Service Commission issued an order that basically established a procedure that utilities would have to follow, data that they were going to have to make available for the commission, and reports that they were going to have to give to the commission. They also established an annual proceeding where the utilities would come to Tallahassee to talk to each other and the commission about the steps they have taken in the past year, how effective those steps were, and what they plan for the future. The utilities also formed a collaborative group that would work together to address some of the questions that were maybe difficult for the utilities to address by themselves. That is most of the work that PURC is centered on. We have been the centerpiece for that collaborative effort. How will these precautions help utility consumers? Well, they are going to help utility consumers in a couple ways: First, to make the system more resilient so that people will see either fewer outages, or when outages occur they will be shorter. So people will benefit primarily through improved service in storm times; however; there is an insulator benefit as well. By running everything through the regulator, the utilities are assured that the improvements that they are making to the system are cost effective for the benefits that the customers are receiving. You could make the system a lot more resilient by spending a lot more money, but this may not provide value to the customer. In your research on the viability of different methods of storm hardening, what was most surprising? I think it might be surprising to anyone but an economist, who tends to see two sides of any issue. The major finding was that there are no easy answers. I think maybe we always suspected that but the research really proves that out. There is no one strategy that works all the time; there is no one tactic that you could employ that is foolproof in any situation. Every tool that you employ has strengths associated with it and weaknesses associated with it. That is why it is so important that the regulator and the utilities always consider the cost and benefit of the action because they both want the same thing: to provide the best possible service at the most reasonable costs to the end consumer. To that end there isn’t one thing that always works. There are lots of things you can do. We have held workshops on refining vegetation management practices and learned a lot about the ways utilities maintain their system. We have done a lot of work on undergrounding of electricity lines and learned a lot about the costs and benefits of those tactics. There isn’t one of them that is a silver bullet for the problem, they are all tools that can be used to mitigate risks, but they don’t eliminate it. A major debate is whether or not to underground electric wires, a topic you have researched heavily. What are the pros and cons of that move? The major advantage of undergrounding your electricity lines is that it better insulates the system from damage from wind-related events; however, that is not the only threat to the system. So while mitigating the potential damage from wind related events, that’s important. We have to remember that in hurricanes there are other types of damages as well. Hurricanes also cause storm surge, they cause flooding. So relocating your distribution lines underground, while it may help prevent it from wind-related damage, it makes it more vulnerable to water incursion from flooding and from storm surge and it comes at a cost. So you want to make sure that when you are undergrounding lines, you are undergrounding lines in places where wind damage is more of a concern, flooding and storm surge is less of a concern because what you are trying to do is provide the best possible service you can at the lowest possible cost. So you don’t go around just undergrounding everything because that would certainly increase cost and, depending on where you are, it might actually decrease the reliably of your service. There are no easy answers. The one thing we learned from all the research is that it really depends. The viability of an undergrounding project depends heavily on where it is, what types of measures are you taking, and what are the threats to the system. How would moving Florida’s wires underground impact consumers? The most obvious way it is going to impact them is it is going to make service more expensive. So it is important that if you are going to increase costs to consumers you better make sure it is going to increase reliability and that the increase in reliability is worth it to the customer. The utility and the regulators are always working on that balance. You can increase reliability but it increases costs. So what translates to actual value for the customer? What can homeowners do to reduce power outages during hurricane season? Consumers can maintain their vegetation and make sure it is not a threat to nearby utility equipment. The utilities themselves may not have the rights or the ability to maintain some of the vegetation around their equipment. So in areas where that’s true, the customer should do all that they can do to maintain it. That is the surest way to ensure that you are doing everything you can to help your own utility service.